The story goes that four turtles were mutated by a strange ooze, as well as a rat. 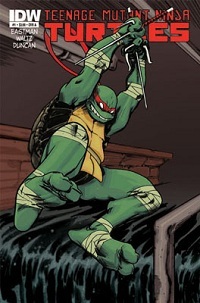 The rat, Splinter, a former pet of a martial arts master, becomes the turtles’ leader and surrogate father, teaching them ninja skills he learned from his master and naming them Leonardo, Raphael, Michelangelo and Donatello. 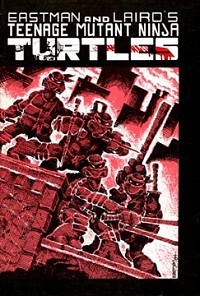 The turtles then fight crime from their base under the sewers of New York City, as well as the evil Foot Clan and its leader, the Shredder. The turtles were created by Kevin Eastman and Peter Laird, who originally self-published what was supposed to be a one shot comic issue, debuting at a comic book convention being held in New Hampshire. The book was published by Mirage Studios, so named because of the fact that Eastman and Laird didn’t have a real studio. Soon, the superhero team became a hit, and the one off parody became a series that has lasted until very recently, including four volumes of the series, albeit with a few hiatuses in between. 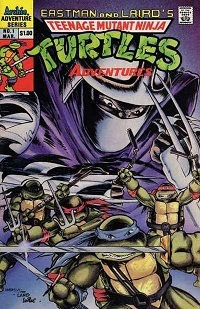 In 1987, the turtles were given their very own animated series, which is still the “definitive” version for many fans. Some comic book fans disagree, saying that the show took the dark underground comics and turned them into a light child oriented show, while changing certain key plot points — including the fact that Splinter is now a rat-like human, instead of a man-like rat. Most of these points are valid, but fans of the show didn’t really mind; besides, most are unaware of the comics. 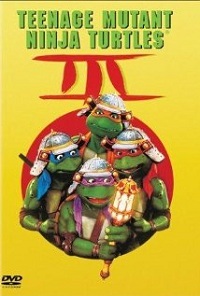 The series introduced the idea of the color-coordinated turtles; before, only weaponry told them apart. The show lasted for nine years, and sold an untold wealth of various toys and other related paraphernalia. Most important were probably the series of action figures, including many characters that didn’t appear in the cartoon until they became popular, and some that didn’t appear at all, as common in many such ‘80s cartoon toy lines. A separate comic book series, by Archie Comics, based on the show was released in 1988 and lasted until 1995. This series was originally based on the cartoon, but soon became its own thing. In 1990, the first turtle movie came out with Teenage Mutant Ninja Turtles. 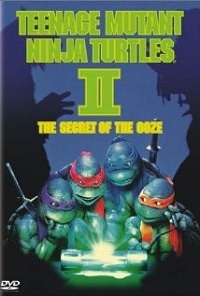 It stayed closer to the comics than the cartoons and spawned two sequels almost immediately, starting with Teenage Mutant Ninja Turtles II: The Secret of the Ooze in 1991 and then Teenage Mutant Ninja Turtles III in 1993. This early trilogy featured puppetry from Jim Henson’s Creature Shop to bring the turtles to life. 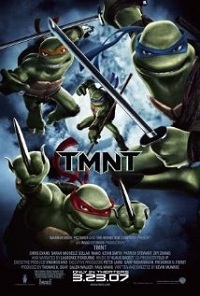 In 2007, a new movie, TMNT, was released to theaters, this time animated using CGI. Surprisingly, in an era full to the brim with movie series reboots, this movie coming nearly a decade and a half after the last – and made in an entirely new medium – featured scenes that made it explicit that this was a direct sequel to the earlier live action films. 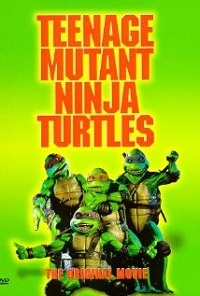 The live action movies spawned a live action television series for the turtles, subtitled The Next Mutation. This show has been mostly forgotten, but was developed as a continuation of the live action movies. Most controversially, it introduced a new turtle, the female Venus de Milo. The show started in 1997, but only lasted 27 episodes before being cancelled. In 2003, when many such ‘80s cartoons were coming back in vogue, the turtles started a brand new cartoon series; this time more closely following the comics, rather than the original cartoon series. The series continued until 2009, ending with a made-for-TV animated movie which celebrated the turtles’ 25th anniversary as a franchise by having the turtles from this series team up with those from the original animated series in a bizarre crossover. Last year, a new series with a new continuity with input from both Eastman and Laird was created for IDW comics. The series has been ongoing since then, and features a new twist on the Splinter as rat-man or man-rat question: in this series, Splinter is a man reincarnated as a rat, mutated into a rat-man, and the turtles are the mutated reincarnations of his four sons. On Saturday, September 29, Nickelodeon launched a new animated series with yet another new continuity, making it the eighth major continuity launch for the turtles, with no signs of slowing down.